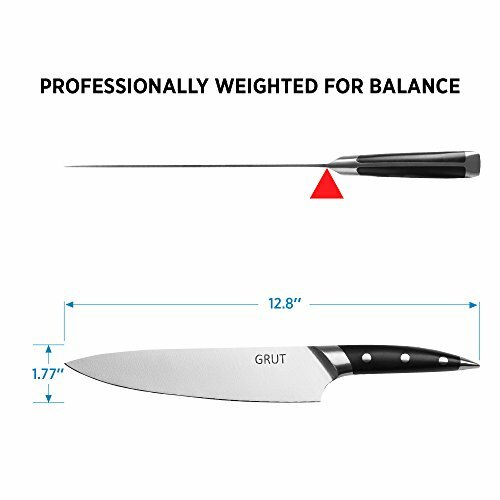 8 INCH CHEF'S KNIFE: Professionally weighted for balance, our big cooking knife can be used as a kitchen knife for meat + a kitchen knife for vegetables & fruits. It's the ideal all-in-one cooking knife! 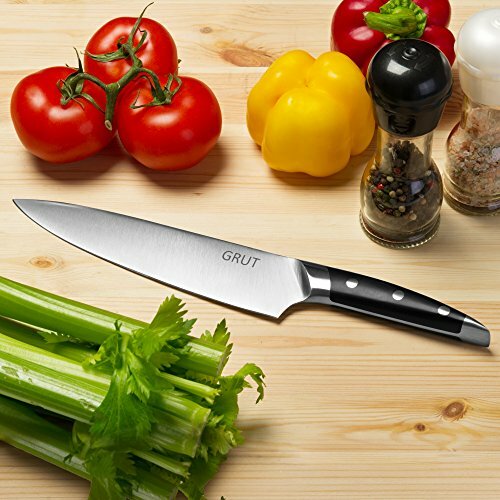 2.5mm STAINLESS STEEL BLADE: Forged from solid 3Cr13 stainless steel, the angled blade fitted onto our 8 inch kitchen knife is thin enough to get a precise cut yet durable & sturdy enough to withstand wear. 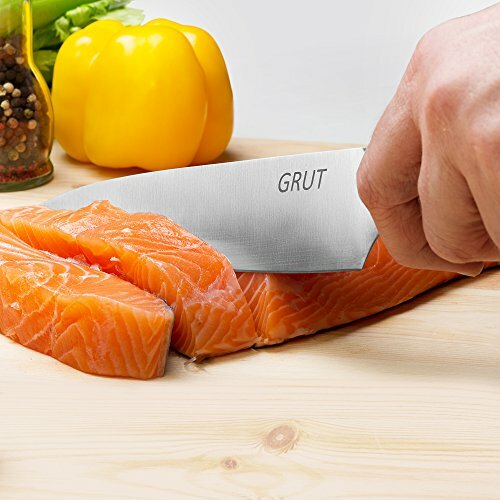 ERGONOMIC SHAPE & DESIGN: Enhanced with an ergonomic shape & upgraded with a streamlined design, this 8 inch chef's knife by Grut fits well in the hand & easily stores in a drawer or on a knife strip. 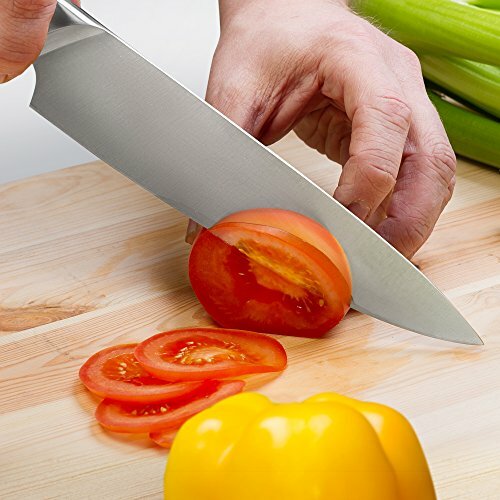 EXTRA DURABLE ABS HANDLE: Incredibly easy to hold & safe to grip when chopping, slicing, dicing & cutting foods, the handle of our large kitchen knife is made out of super strength ABS plastic. 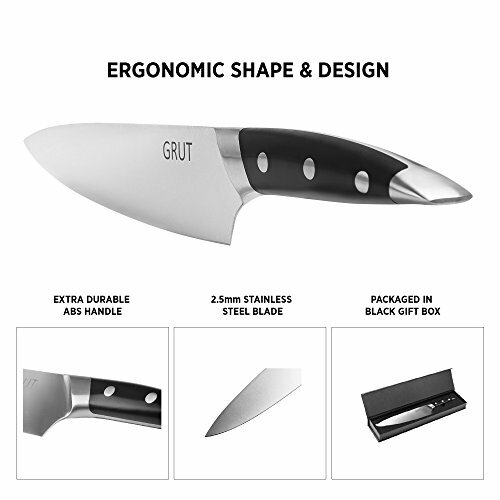 PACKAGED IN BLACK GIFT BOX: Each Grut 8 inch global chef knife is presented in an all black box that makes it perfect for giving. Give the boxed stainless steel knives as gifts, birthday gifts, etc. a chef's knife that does it all with ease! 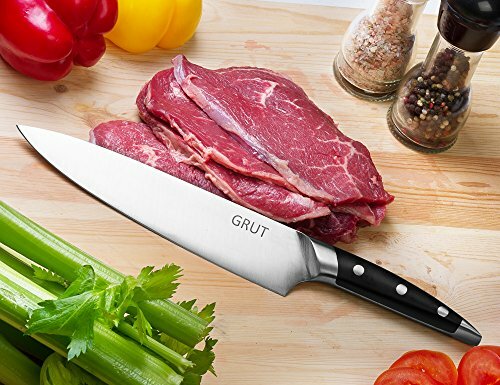 knife for meat preparation when barbecuing! cooking knife is easy to hold & maneuver. Day gift, birthday gift or Christmas gift. Don't let this amazing deal slip away. 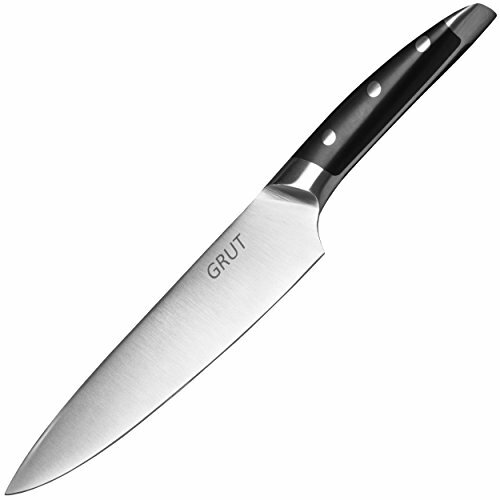 Click 'ADD TO CART' to order your 8" Grut Chef's Knife today!